Up front, let me put my cards on the table: I love coffee. I’m constantly drinking the stuff. Even now as I type these very words I have a mug of, hold on whilst I take a sip, coffee within arm’s reach. At work we have an espresso machine and our secretary jokes that if this ever breaks down my work would come to a grinding halt. I blame my dad. Don’t we all? He’s German and he brought me up drinking coffee from well before the age of five. So I’m hooked! We would all love to make the perfect coffee at home, to recreate the taste, smell and aroma (which as the technically minded might notice is very similar to smell, indeed some would go as far as saying that they are mere synonyms and indeed in my opinion they would be right) of an Italian cafe espresso. 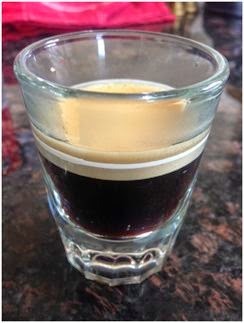 The espresso is the fundamental building block of all coffee drinks. Over time I’ve tried practically every variety of coffee making device: cafetiere; espresso stovetop; filter coffee machine; French press; aeropress; and even bench press. 110 kg if you are wondering. And it should come as no surprise to you that I have an Nespresso machine! If it does come as a surprise, given the items that I’m reviewing here, may I politely suggest you stop reading this and go and make yourself a coffee and wake the fudge up! I love my Nespresso machine. Ok, it doesn’t quite give you the rich feel and full body flavour of the perfect espresso, but my word it’s close. And the added bonus is that it takes no skill on the part of the user. No need to measure out the right amount of coffee, with the correct grind not too fine not too coarse, no need to think about pressures, or forming a cake with the right consistency. It’s quick, easy and mess-free. 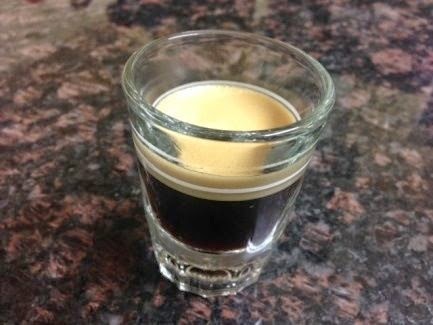 In no time you have a very pleasing espresso with a perfect crema. Indeed it’s the only coffee machine I’ve ever found that can consistently do this. 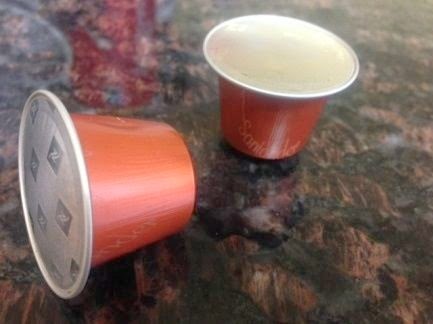 The first coffee I tried is the Santander capsule, a limited edition with intensity level 7 out of 10. The coffee comes from AAA sustainable farms from the Santander department of Columbia, to be found in the central northern part of the country, where the coffee is grown in the shade of tall trees surrounded by mountains. 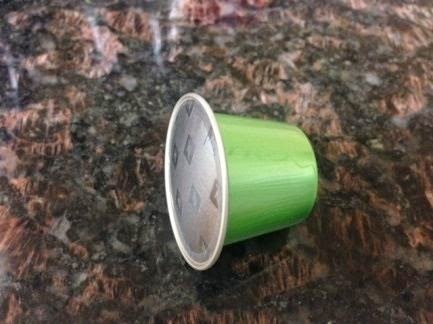 The Santander capsule produces a perfect looking espresso with a sturdy, good sized crema. The aroma is warm and sweet and delivers the promise of a perfect shot of coffee to come. The texture of the drink is surprisingly good, there’s a real richness that my usual Nespresso capsules haven’t before achieved. The flavour is strong and long lasting with a surprising zesty bitterness at the end, which really gives a remarkable pleasing finish to each mouthful. The capsule may be orange, but you can colour me impressed. The next one to test is the Cauca capsule, another limited edition AAA sustainable coffee, but with a lower intensity level of 6. This coffee comes from the Cauca department of Columbia, which is in the south-west part of the country, a lush, green, fertile equatorial region. The capsule delivers a good crema, not quite as firm as the Santander, but nevertheless very satisfactory, and the aroma, which has hints of chocolate, is somewhat muted in comparison too. I found the texture of this espresso to be watery and not as satisfying as the Santander one. The flavour is indeed milder as expected from the lower intensity rating, with a far simpler taste experience. What I did like in particular though was that it gives a very long lasting, some would say lingering, pleasant, gently toffee flavour after-taste. Both of these coffees are very good and I’m actually going to swap over from my usual Nespresso Ristretto capsule to the Santander one, as I prefer its texture. Shame it’s a limited edition! I’d love to write more, but this mug isn’t going to refill itself!